Nothing screams daughter of the year like a handmade gift you created for your mom, amiright? 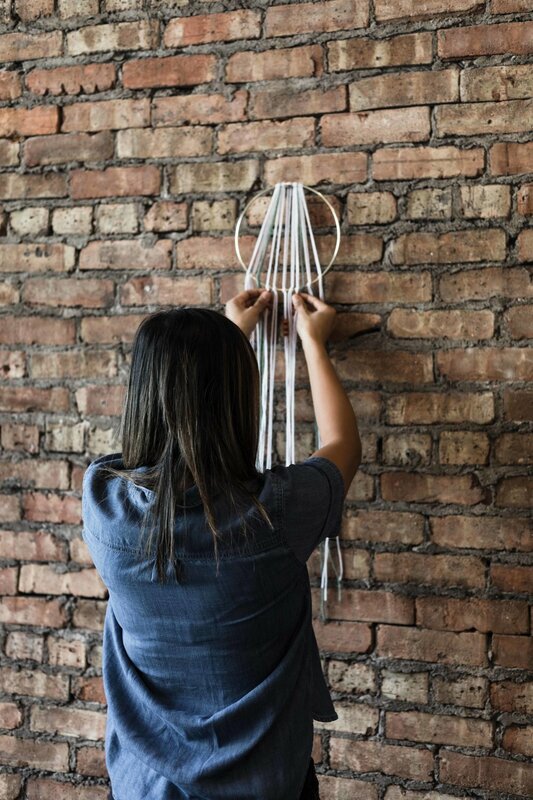 Well lucky for me I happened to be photographing an incredible, handmade dreamcatcher crafting event at Indigo & Violet Studio for The Glossary on the day I went home to visit my mom for her birthday. Stars aligned for this, y'all. Not only was this event a great coincidence in terms of birthday present gifting, it was also a super fun and creative way to spend my Saturday morning - half photographing, half using my hands and crafting (something I don't do much). I met Leigh of Indigo & Violet Studio recently when I interviewed her for the Inspired Chicago feature series - and when we were meeting for that, we realized that we have a TON of mutual friends, hangout in the same circles, and were actually both going to the Creative Women's Co. Chicago Retreat together. I always hear people talk about how small the creative community is in Chicago, but like, damn right? What a small world!